Our courgette and tomato plants are producing an abundance of produce this summer. 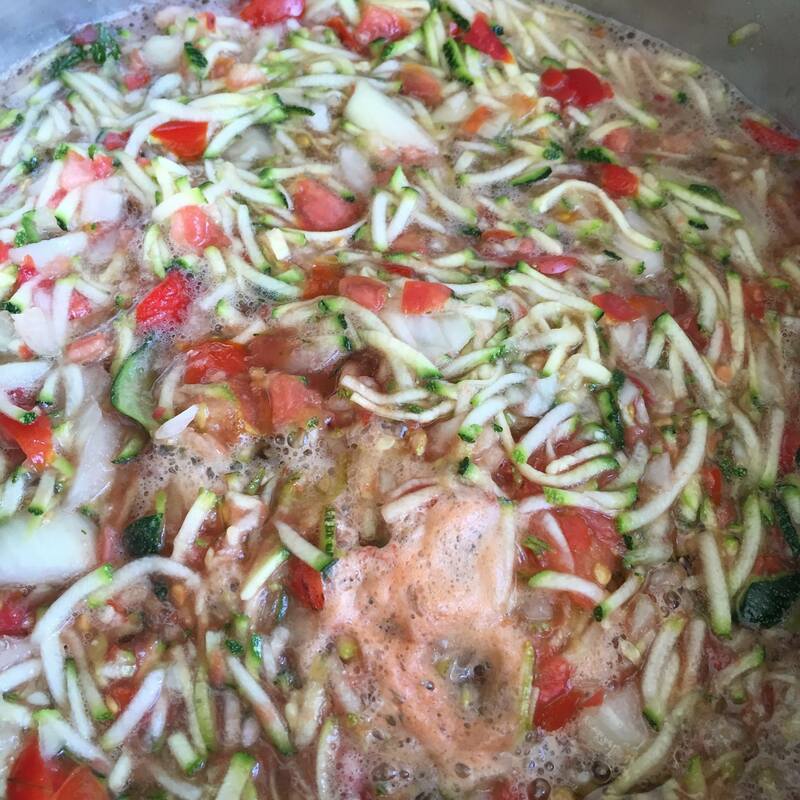 This is a photo of courgette and tomato relish. Put all ingredients into a large pot and bring to the boil. Reduce the heat and simmer for 45-60 mins.